Our customers aren’t asking us for a gloss finish very often these days, gloss is generally considered old-hat and most people seem to prefer an eggshell or satin finish on their woodwork. 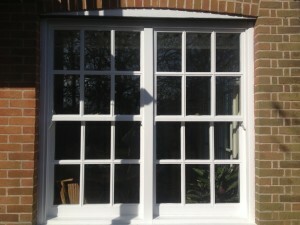 However, when we do get asked for gloss we need to have a tried and tested product in place that we trust to do the job. 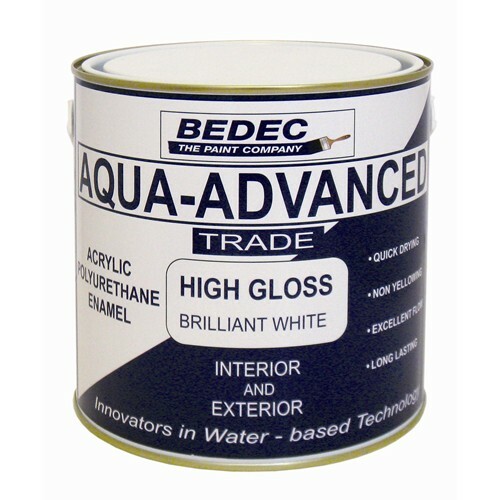 For the last few months we have been using Bedec Aqua Advance when our customers request a shiny white finish that won’t dull or go yellow in a few weeks! 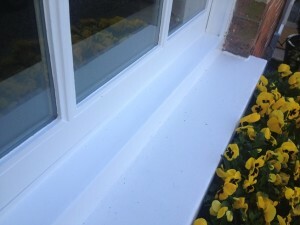 After the 2010 VOC changes that compromised traditional oil based gloss, many professional painters and decorators turned to water based equivalents. Are the sheen levels as high as the old oil paints? No sir, they are not! But most decorators would rather sacrifice 15-20% of shininess than sell their customers a product that will yellow, take an age to dry, fall off or stink the house out. Bedec Aqua Advance gloss is the shiniest water based gloss that we have ever used, it has high acrylic resin content and also contains polyurethane which makes it very resistant to abrasion. When dry it has a smooth, silky feel to it that is tough and looks great. Bedec tell us that the Aqua Advance range was brought about as a replacement for Caparol when it was discontinued last year despite the ever increasing demand for high performance water based wood paints. Many time served decorators still haven’t embraced the water based paint revolution and say that they don’t trust them to perform over time, they say that they don’t leave a decent finish and are impossible to apply. Some of this may have been true a few years back when manufacturers were still tinkering with the formulas and we were figuring out which brushes to use, but the water based generation is here and acrylic and hybrid paints are outperforming oils hands down, for the most part. 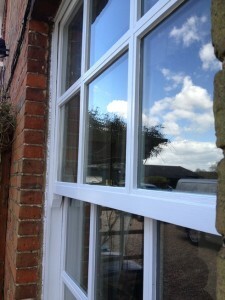 Most professional decorators have now learnt that a quality finish can be achieved, but the technique is completely different. Whereas traditional oil paints have a long enough open time to manipulate around the surface and be ‘laid off’ flat, water based products need to be applied quickly to prevent dragging, this is where the choice of brush becomes very important. 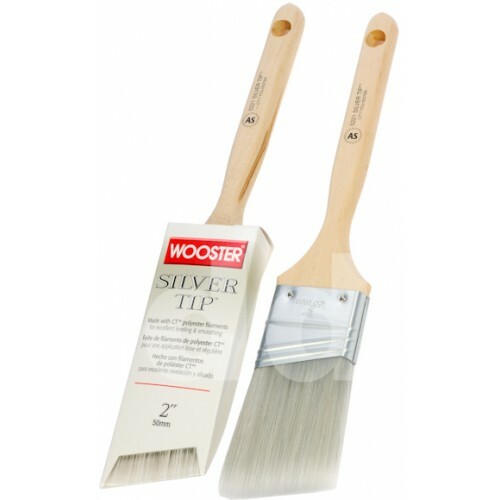 We have been getting excellent results using Bedec gloss with Wooster Silver Tip synthetic paint brushes, amongst many others. We used the Bedec gloss for the first time on an exterior painting job in Brentwood, Essex which involved preparing, repairing with Repair Care and repainting many sash windows and doors. It was roasting hot at the time so we added XIM Latex Extender which improved paint flow massively and let the paint level very smooth. As with most water based paint the workability and flow is often dependant on climate conditions, I have used Bedec gloss many times since and have found that sometimes it needs paint conditioner like Xim or Floetrol, and other times it doesn’t. Bedec say that the expected coverage of Aqua Advance is 13-15m² per litre, they are definitely not telling porkies! The gloss just seems to spread for miles on previously painted surfaces. 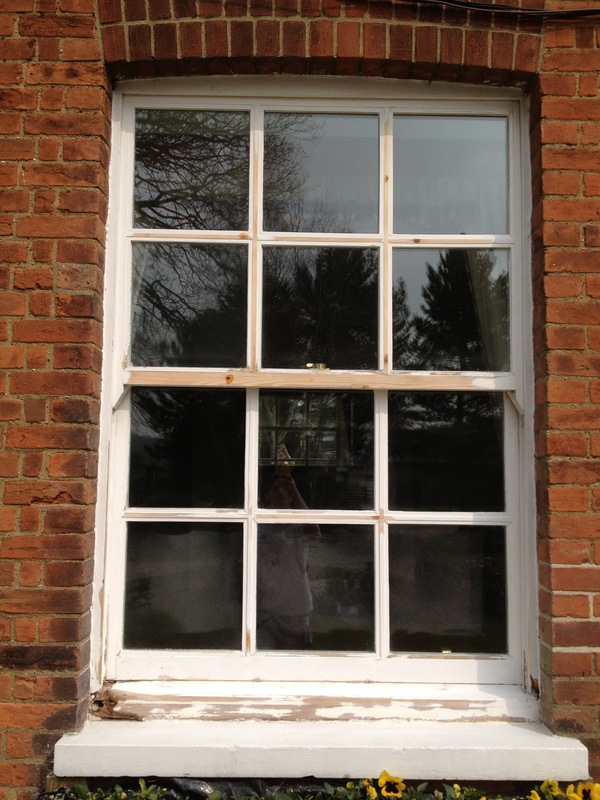 The opacity of this paint is also very good, the sash windows on this exterior painting job in Brentwood were partially stripped. The bare areas were primed with Aqua Advance primer/undercoat and then received three coats of gloss, the bare timber was completely obliterated by the second gloss coat and the third coat was for extra durability and improved finish. 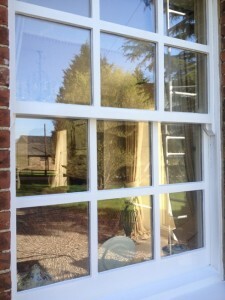 Aqua Advance gloss has very good drying times. Again, the actual time is always going to be circumstantial and dependant on climate but I have always found it to be touch dry in under 25 minutes even on the most humid of days. The gloss has a nice high sheen, more so than any other water based gloss that I have used. With traditional oil based gloss considered to have 95% sheen, it would be fair to say that Aqua Advance gloss has around 80% sheen. I have recently seen some photos flying around the internet of Finnish manufacturer Tikkurila’s water borne Helmi gloss and I’m keen to compare that to Bedec. I’ll update when I have the opportunity. This is enamel paint with polyurethane content which makes it very tough; I do however suspect that the flexibility is compromised somewhat by the polyurethane which made me a bit dubious about using it for exterior painting. 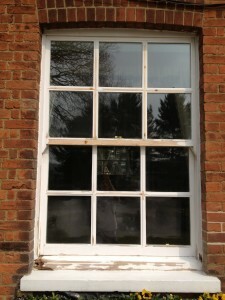 However, I have been back to this property recently and four months down the line it still looks brand new. Granted, four months is way below what you would expect of any paint but the windows on this particular property have been problematic for years. 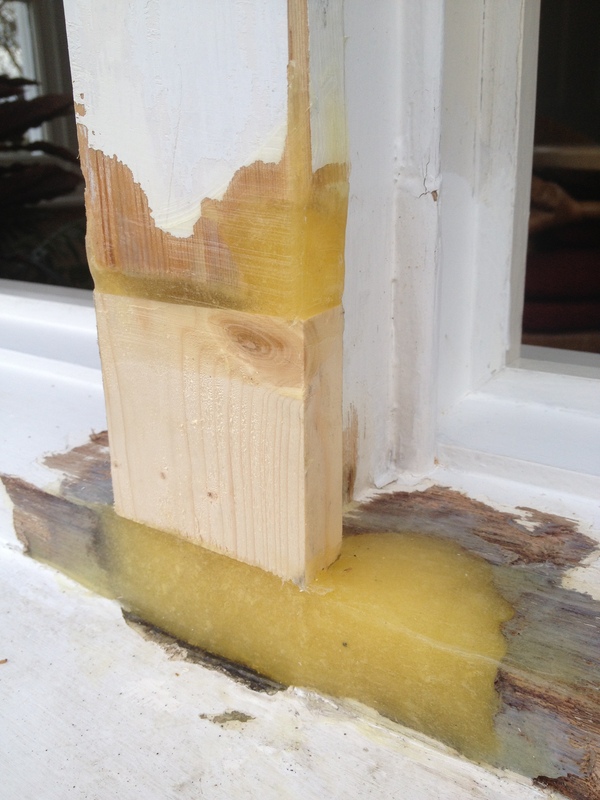 There is a design flaw with the glazing bars that causes water to collect and the paint film fail very quickly, a few years ago I stripped some areas back and did some tests with Johnstones Stormshield, Dulux Weathershield, Sandtex Flexi-Gloss and Sadolin Superdec. All except Superdec failed in an incredibly short period of time, the sheen level of Superdec was not high enough for our customer so we eventually settled on Bedec Aqua Advance Gloss.